This card was made for the WOW Rainbow Challenge. 1. 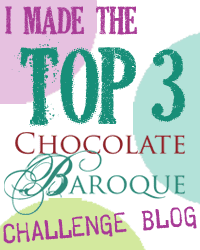 Using the memento Tuxedo black ink, ink up the chocolate Baroque AYOS April stamp (large) and print onto white card. 3. 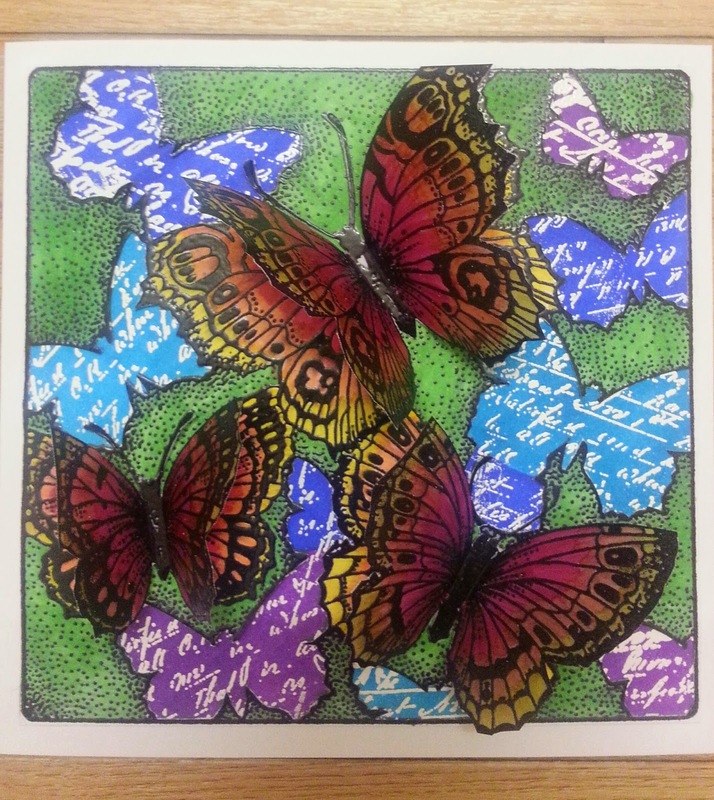 Using the AYOS April Butterfly stamp (cleaned) load it with versamark ink and stamp onto another sheet of white card. Cover in Wow ebony embossing powder, shake off excess and then heat with a tool to a glossy finish. 5. 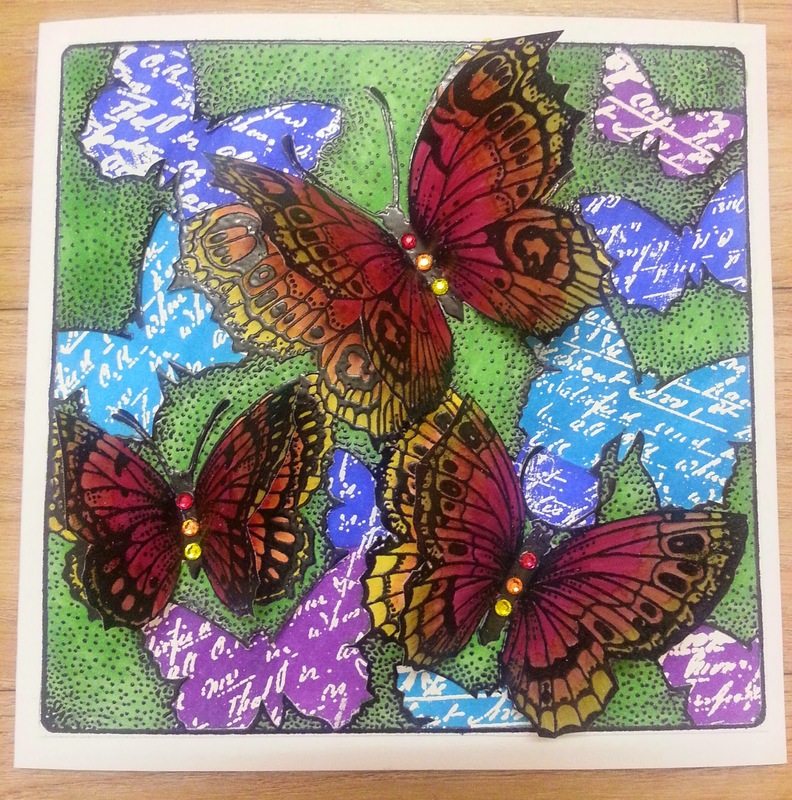 Take the first stamped piece of paper with the Blue, Indigo and Violet butterflies, load up the Kaisercraft Script stamp with versamark and stamp over the coloured butterflies (if necessary use pieces of scrap paper as masks). Apply WOW bright white embossing powder, remove excess and apply heat to fix the powder. 6. 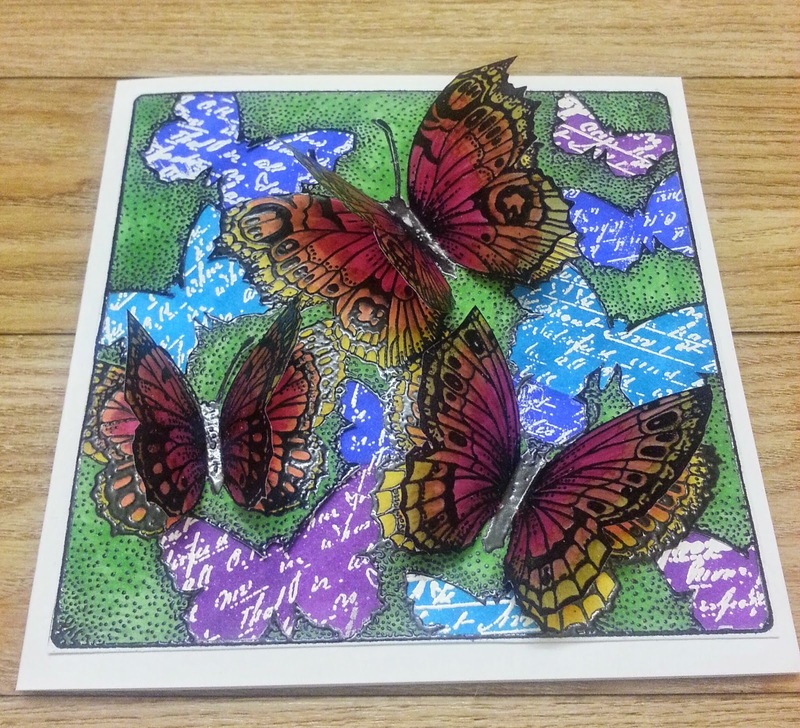 Take the ebony embossed white card and cut out the spaces of the blank butterflies, this will allow the blue, indigo and violet butterflies to show through on the final card and creates dimension. Use a craft knife to do this. 8. Repeat the blending of DR1, OR2 and CT4 on the WOW ebony embossed vellum and cut the butterflies out using scissors or craft knife. 9. Starting with the Blue indigo and violet butterflies as the lowest layer build the card up, with the vellum butterflies going on last. Bend the wings to create a 3D effect. 10. As an option you can use the spectrum noir alcohol markers to custom colour clear rhinestones and add them to the butterfly body, the effect is shown in the photograph above. I used the DR1, OR2 and CT4 pens to colour the rhinestones. I used PVA glue to attach the rhinestones to the card.